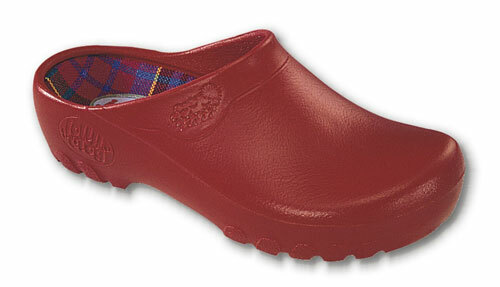 Weatherproof, comfortable, secure on the foot and practical, Fashion Jollys are the shoes for all occasions. 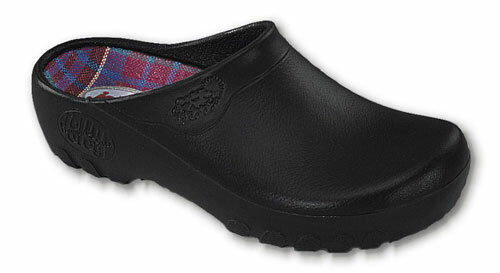 Fashion Jollys have reached a new level of long-term foot comfort, whether you're walking or standing. Should the foot-cradles become soiled, they may easily be replaced by a handy spare pair or cleaned in the washer. After air drying, they go back in the shoes. 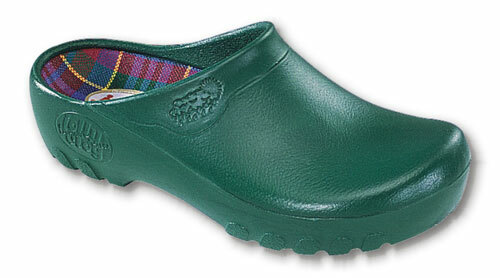 Fashion Jollys Clogs are the ideal shoes for garden and leisure-time. The shell, of 100% CFC-free polyurethane, is light and flexible, yet highly abrasion resistant. They are totally waterproof and suitable for wear under all conditions. Whether it's rainy, snowy or sunny, your feet will always stay dry and clean. The advanced sole pattern provides secure footing, whatever the underfoot surface. The tread design insures that even hard-packed dirt will be dislodged by the flexing of the sole while you walk. Fashion Jollys Clogs are quickly slipped on and off without bending and are especially convenient when it's necessary to leave the garden, work-place or playingfield for phonecalls or other interruptions.